Spring rolls are a weakness of mine. It’s so easy to combine different flavors and have a perfect meal. 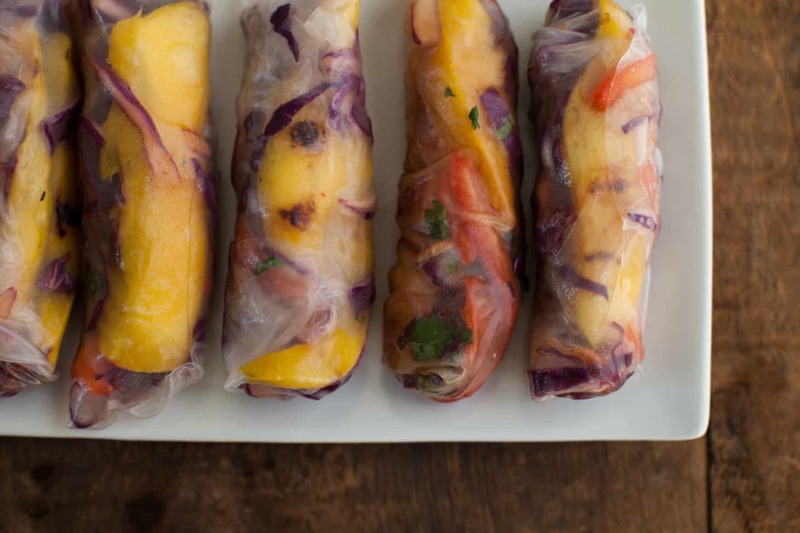 These cabbage spring rolls get their flavor from a spicy sriracha sauce and fresh mango. You can choose to not grill the mango, they’ll be just as good (I just like the slight bit of char that comes with it.) Make a full batch, wrap some in a damp towel, and place in an airtight container for lunch the next day. Cut red peppers and onions into fine strips and add to a bowl with shredded cabbage and cilantro. Combine soy sauce, lime juice, sesame oil, and sriracha (1 for minimal spice heat, 4 teaspoons for spicy) in a jar with lid. Shake until combined and pour over cabbage mixture. Toss and let sit for 1 hour. Light grill or grill pan. Peel mango and cut into 1/2″ thick strips, around pit. Place on grill and cook on each side for 3-4 minutes or until mango is slightly charred. Set up a rolling station with grilled mango, cabbage mixture, rice papers, a dish of hot water large enough to hold the spring rolls, and a cutting board. Soak the rice paper for 10-15 seconds (you don’t want it too soft when taking it out of the water but pliable enough to roll.) 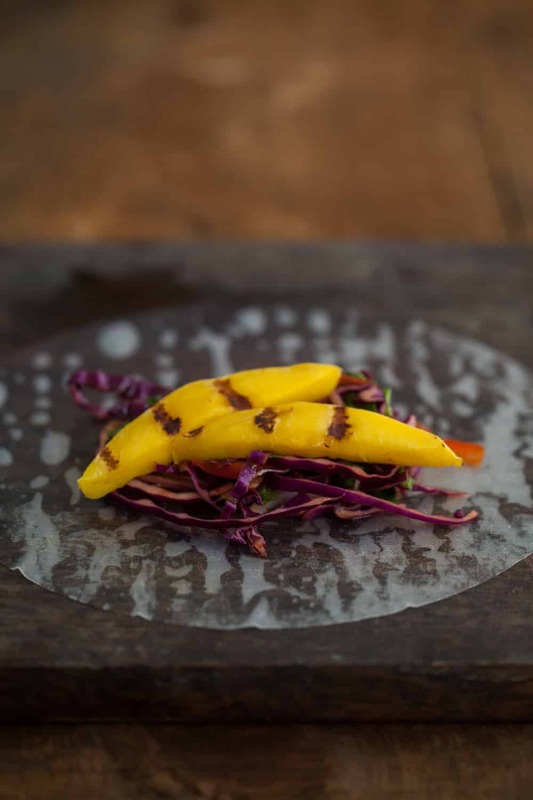 Place rice paper on a cutting board and load with cabbage mixture and grilled mango. Roll, tuck, and fold in sides as you go. Continue with remaining ingredients. 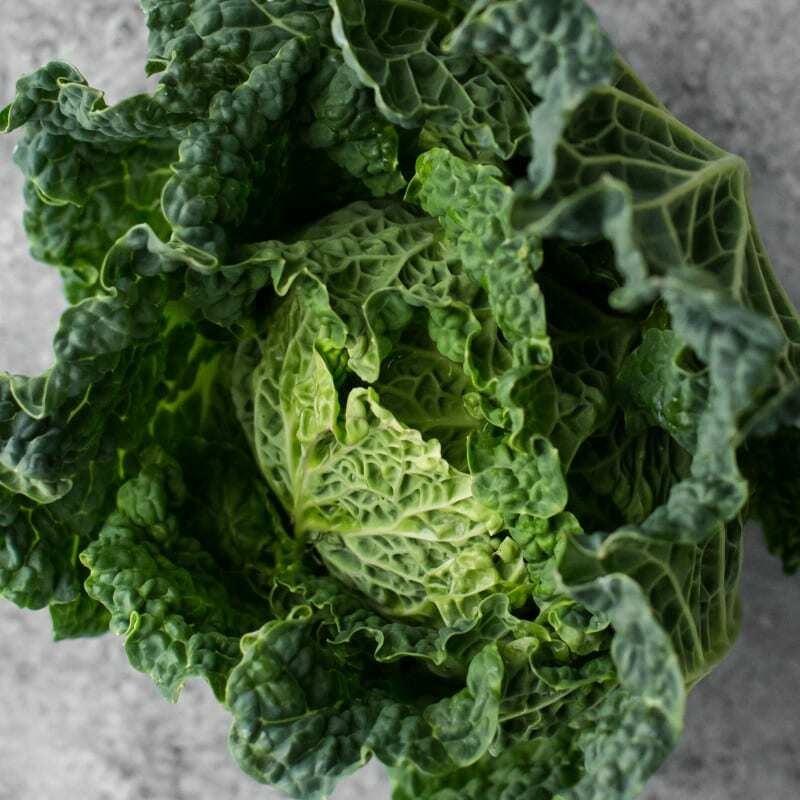 Cabbage: Any greens can be swapped in- spinach is my first choice followed by kale. Non-Spicy: If you’re not into spiciness, take out the sriracha- the flavor will be just as good! These are completely awesome1 I love the grilled mango! wow they look so beautiful! and i can only imagine how flavorful they must be! Really beautiful recipe! Love that spicy cabbage! Love the grill marks! and LOVE the idea of using grilled mango!! Delicious! Looks good! Yum! Must try it. The filling looks wonderful. Yum! what beautiful color! I can only imagine how delicious they must taste as well. perfect summer meal! As amazing as these look, I’m pretty sure I’d never get past the grilled mango step- I’d just chow down on that alone. Should invest in some self-control. Yum! These look delicious and gorgeous — love the colors. These will be perfect for a food/wine pairing party we have coming up soon! Looks lovely! They would go well with my avocado dipping sauce (recipe on my blog tomorrow)! These make me think I need to make some sushi with grilled spicy mango! Mmmm. I made these tonight and they were delicious! Thanks for the recipe. It made a perfect, light dinner for this hot CA weather. The grilled mango sounds so fun! Love this! These look awesome! Totally my kinda rolls! Yum! Thanks for this! I picked up a pack of rice wrappers a couple of weeks ago and have been trying to find the best things to fill them with ever since. This might just do the trick. OMG Erin – I just made these for lunch. INCRED DELISH! I did a few modifications though….didn’t grill the mangos (lazy) and didn’t wrap them up…..just did a slaw of sorts (lazy again). INCREDIBLE sauce. Mahalo! I love these — made them (my first spring rolls!) last night. Forgot the onion, but it didn’t matter. One note — I’m not the fastest in the kitchen, but I’m also not the slowest. These took closer to 45 minutes+ than 20. They were worth it, but the time guidelines were a bit misleading. Thanks! I just inherited a grill pan (Christmas miracle! )– I’m so excited to try this again w/ grilled mango! It was wonderful the first time around as well. I added some marinated tofu and had it for lunch!